Some Sage Advice, in every sense, about Cloud Safety, be it Storage and File sharing services or SaaS or IaaS. Reproduced with permission of Sage. Original work credited to Keir Thomas-Bryant. One of the reasons DRaaS is being emphasized in this writing is because many see it as a last resort. What they don’t realize is that within a three to five-year span, it is almost a certainty that they will need to do a full reboot and recovery. Perfect firewalls, total employee education on internet usage, and best practices when using mobile devices, antivirus software, continuous monitoring, and support can’t stop the forces of entropy. True, continuous monitoring can help identify where an issue may arise and deactivate a server or an array of them before the natural breakdown occurs, repair the issue, and then reactivate the affected machines. Even in this situation, the human element is apt to be impugned by natural disaster, natural human error, or steep political upset. In short, while it’s not like playing the lottery, the odds are definitely stacked against you getting through years of continuous operation without experiencing a real crash. Disaster recovery as a service only needs to totally save your operation one time to pay for itself several times over. Since it’s hosted through the cloud, you do see the likelihood of a diminishing breakdown. Compact Discs, or CDs, have a shelf life of five to 10 years, most of them maxing out around 20. Bumping a hard disk can totally dismantle it. This is one reason solid state drives are increasing in popularity. If you can cut the risks of transportation and entropy through the cloud, why wouldn’t you? Proprietary data. Yet, there are options here, too. 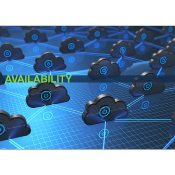 Private clouds are available and you could hybridize between a private and public option. If you’re operating a private cloud, you’re the only client on that server array. It’s more expensive but you get the data protection, utility, and speed of the public cloud. You also get the security of an internal solution wrapped in tech support from professionals, whose core directive is to maintain whatever cloud option they’re selling. Conversely, you could maintain the absolutely delicate data on your own desktop computer, internally housed. The likelihood is, most of your operations are infrastructural to computer involvement. That information isn’t always as sensitive, as many would say. Sometimes it is and sometimes it isn’t. File transfers must be efficient when synchronising files over WAN links. This includes transferring files to cloud providers such as Azure or Amazon AWS. Data sets continue to grow and upload speeds of Internet connections have not always kept up. An efficient file synchronisation application like SureSync is a critical part of your network infrastructure when you have a need to share files between multiple office locations. When synchronising via UNC path, a folder structure must be completely scanned each time a Job is run to detect change. When scanning over a connection with latency, this scan can significantly slow down processing. With the Communications Agent, the NTFS Change Journal is used to minimise scanning. With the Change Journal, a full scan is not needed each time a Job is run and subfolder scans are used only when optimal. This one feature alone will significantly increase the speed of your synchronisation and replication jobs. The Communications Agent will utilize Microsoft’s Remote Differential Compression (RDC) functionality to copy only the changed portions of a file when replacing a file with an updated version. Copying only the changes can greatly reduce the amount of bandwidth needed for that file transfer. The Communications Agent can compress the data stream during transmission to further optimise file transmissions. The compression routines will cause the Communications Agent to use some CPU time to process the compression while reducing the amount of data that needs to be transferred across slower connections. SureSync is a feature rich enterprise grade application designed to make file synchronisation and replication tasks efficient and as easy as possible. The Communications Agent unlocks powerful benefits when transferring files over WAN connections. If you have any questions, please contact the Open Seas team for further details. When synchronising via UNC path, a folder structure must be completely scanned each time a Job is run to detect change. When scanning over a connection with latency, this scan can significantly slow down processing. With the Communications Agent, the NTFS Change Journal is used to minimize scanning. With the Change Journal, a full scan is not needed each time a Job is run and subfolder scans are used only when optimal. This one feature alone will significantly increase the speed of your synchronisation and replication jobs. The SureSync Communications Agent will utilise Microsoft’s Remote Differential Compression (RDC) functionality to copy only the changed portions of a file when replacing a file with an updated version. Copying only the changes can greatly reduce the amount of bandwidth needed for that file transfer. The Communications Agent can compress the data stream during transmission to further optimise file transmissions. The compression routines will cause the SureSync Communications Agent to use some CPU time to process the compression while reducing the amount of data that needs to be transferred across slower connections. SureSync is a feature rich, enterprise grade application designed to make file synchronisation and replication tasks efficient and as easy as possible. The Communications Agent unlocks powerful performance benefits when transferring files over WAN connections. If you have questions, please contact our team for further details. Disaster recovery and maintaining availability used to require dedicated hardware that would largely sit idle waiting for network outages, or worse, disasters to occur. Idle infrastructure costs money that is largely wasted. The cloud has been a game changing development in this space for IT teams, enabling a company to rapidly bring up a virtual environment allowing employees access to files and vital information to stay productive. In a disaster scenario, the virtual environment can be connected via site-to-site VPN connections. 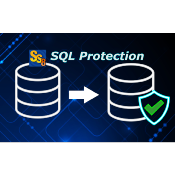 This allows users in unaffected offices to quickly regain access to critical files and systems. The cloud for disaster recovery and availability is not without challenges. One of the primary issues is ensuring that your company’s data is present and up-to-date in the cloud. A functional virtualised office without the most recent user data is useless. Transferring files can be a time consuming and an error prone process without an enterprise grade file synchronisation solution. SureSync can quickly and efficiently move your data into the cloud and keep it current in an automated manner. SureSync’s TCP based Communications Agent provides a number of performance enhancing features for performing high volume file synchronization. To get started, simply install the Communications Agent in a virtual machine in the cloud with adequate storage attached. 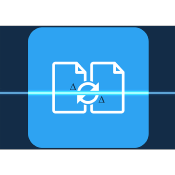 You have the option to use features such as Remote Differential Compression (RDC) deltas, compression, encryption and Change Journal support to efficiently keep a cloud copy of your critical data available. Data can be moved continuously as files change with a Real-Time Monitor, 24x7. Building an environment in the cloud is only part of the puzzle. You cannot achieve true cloud disaster recovery and availability without up-to-date copies of your critical files. SureSync’s powerful feature set can be a critical piece of your company’s cloud solution.